The U.S. Food and Drug Administration (FDA) has given its stamp of approval to a new cystic fibrosis drug called “Orkambi,” developed by Vertex Pharmaceuticals Inc.
Orkambi is Vertex’s second cystic fibrosis drug. The first, “Kalydeco,” was approved in 2012. It was also the first drug approved for treating the underlying genetic causes of cystic fibrosis. (Previous cystic fibrosis drugs only addressed symptoms.) However, Kalydeco was approved for treating only a small group of cystic fibrosis forms. 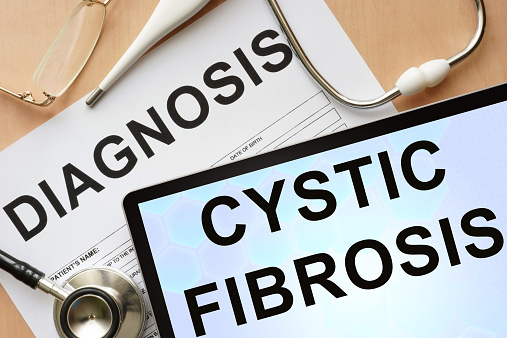 Orkambi, on the other hand, has been approved to treat the most common type of cystic fibrosis, which occurs when a patient inherits two copies of the genetic mutations, one from each of their parents. Almost half of the estimated cystic fibrosis cases in the U.S. fall into this category, which makes the drug that much more valuable. For now, the FDA’s approval only applies to patients who are 12 years of age or older. According to several clinical trials, taking Orkambi for six months improved cystic fibrosis patients’ lung function by 2.5%–3.0%, which was enough for the FDA to warrant it as an effective treatment option. While it might not sound like much, it’s still a significant advancement for a genetic disease that currently has no cure. Vertex is continuing research with younger patients in hopes that the FDA will expand their approval of Orkambi for a younger age bracket. Vertex says their new drug will come with a price tag of $259,000 for the year. It’s estimated that there are approximately 30,000 Americans who suffer from cystic fibrosis. The disease stems from a genetic mutation causing the body to produce thick mucus that accumulates in the lungs and other organs, eventually leading to infections, digestive issues, and loss of lung function. Dennis, B., “FDA approves drug that eventually could help half of people with cystic fibrosis,” The Washington Post web site, July 2, 2015; http://www.washingtonpost.com/news/to-your-health/wp/2015/07/02/fda-approves-drug-that-eventually-could-help-half-of-people-with-cystic-fibrosis/.